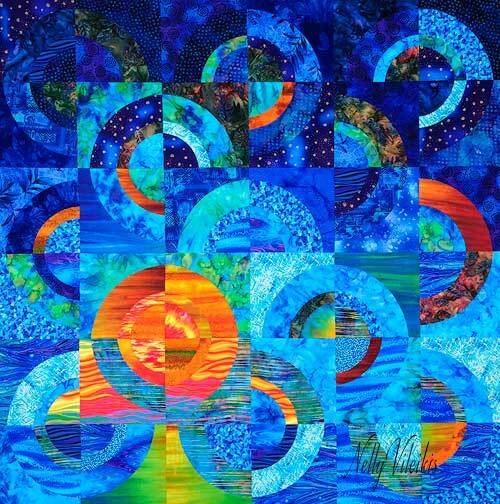 Curves add interest, drama and movement to a quilt. Using Nelly’s Sunset in Cabos pattern and her Sunset Template Set, learn to accurately cut the fabric using templates and then sew curves in an easy and precise manner. 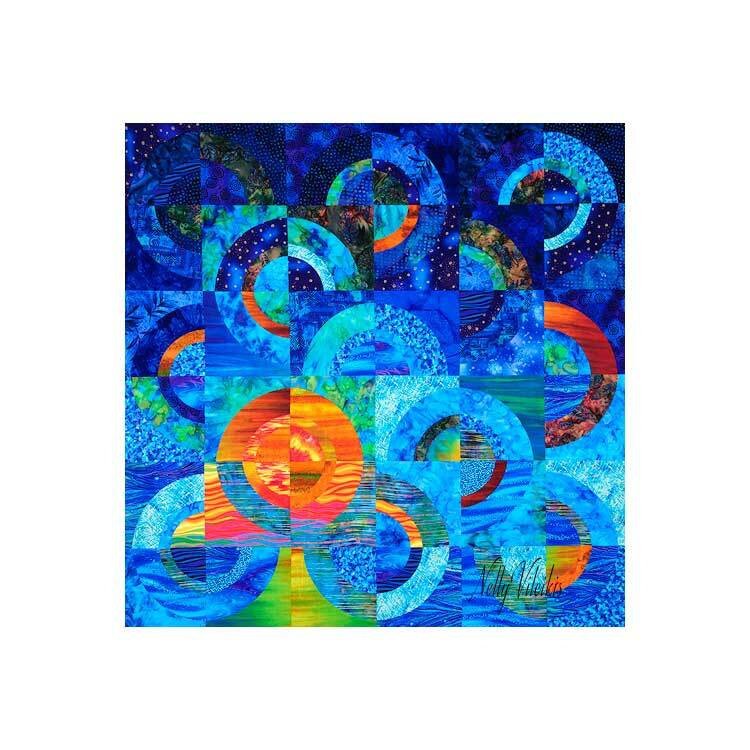 If you can stitch an accurate ¼” seam, you will quickly master Nelly’s easy process for perfect curves while designing and constructing this dramatic wall quilt. Imagine how much fun you will have arranging your own.